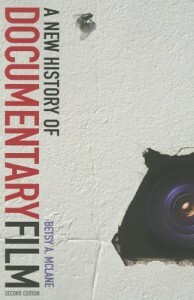 One of the central questions incessantly asked of documentary film and video is, “Is that real?” People who think about film, and documentary in particular, generally reach personal conclusions about the veracity of what they see, at least to the extent that they can think about and share their own reactions to a film. No one needs to tell audiences that SHRECK 3 is not as “real” as the new Michael Moore film, SICKO. Unless someone cares to point out that the controversy being created about the legality of Moore’s filming in Cuba bears resemblance to the marketing campaign of our other rotund man-of-the-people, Shreck, who is now floating above McDonalds, no one is going to confuse the intent of the two films. Things are not so simple in Second Life. Most of us are aware that goings in SL on are not “real” in the same sense that things are real in First or “Real” Life, but there are often conversations about the various ways that RL and SL coincide, over-lap, clash, or in some cases, merge. Various realities created within SL have greater or lesser validity for the people involved in them. As with films, each person makes their own determination about what they choose to accept as real in SL. Many SL residents draw strict lines between their SL and RL existences, and brook no penetration of the third wall that separates the two. Others use their SL experiences to enhance their RL knowledge, personal growth or pocketbooks. Two recent documentaries about SL that have been shown in RL deal with some of the questions inherent in this confusion among realities. The fact that the films were selected for the prestigious HOT DOCS documentary film festival in Toronto this April demonstrates both that SL continues to grow as an area of fascination for the world at large, and that films made entirely in SL (as was one) can be legitimized as documentaries. The films, MY SECOND LIFE and DREAMWORLD played together to large audiences. MY SECOND LIFE has also played in mini movie form on Youtube. MY SECOND LIFE, the longer of the two, is described in the catalogue as, “… effectively a documentary within a documentary, a high concept confounding of realities, the Alva avatar explains why he has renounced the first world to live entirely within a second.” It received a fairly dismal 2 ½ out of 5 star audience rating from people who chose to comment about it on the festival website. Photographed entirely within SL, MY SECOND LIFE is the story of a man who “goes missing” from RL, to be tracked by a filmmaker in SL. As a look at the visual wonders of SL it is accomplished and inviting. Alva roams throughout many lands with a movie camera perched on his shoulder. The camera, in what is perhaps meant as irony, looks more like a wind-up 16 mm box than a modern digital minicam. The film is hardly a creative tour de force. SL can be very beautiful, but it is relatively simple, even if painstakingly time-consuming, to create avatars who wander around taking pictures within SL. As a philosophical or metaphysical search for meaning within SL, MY SECOND LIFE is an utter failure. The premise of seeking the creator of the SL universe is immediately laughable to anyone who deals with the Lindens; that is anyone who lives in SL. This is not to say that a search for meaning or even enlightenment within SL is not possible. Rather, it is preposterous for the filmmaker to posit that meaning in SL might reside in seeking one great creator. Whatever reality or meaning found by individuals in SL is found within themselves, within their own work or within the connections they make to others. Is the film a documentary-no. Is it a pseudo documentary-perhaps, if one accepts that Alva is an accurate representation of the filmmaker. But then, how real is any avatar? DREAMWORLD is more of a traditional documentary in that it is photographed mostly in RL and deals with people whose RL lives are changed by their experiences in SL. Thirty-year-old Patrick and his girlfriend Danielle are a RL Dutch couple who are very, very deeply caught up in SL. They also seem to be in love. They sit at side-by-side computers, but each carries on a very separate SL existence. Like many avatars, much of their SL experience revolves around fun-filled consumerism and sexual relationships. Danielle gives Patrick permission to travel to the US to meet up with the RL version of his SL playmate, a woman also deeply immersed in SL who is named Christine. It is revealed that Danielle too has previously entertained in RL some of her SL partners. DREAMWORLD follows Patrick on his adventure to the US, revealing some, but not many of the details of the RL encounter. Technically, the film is competent, but what is demonstrates about the differences between RL and SL borders on the profound. Providing just a snapshot, with no background and little detail about its characters, DREAMWORLD manages to convey the hopes and the uncertainties that cause some people to engage with SL. Making short documentaries that tackle amorphous issues can be as difficult as addressing major concerns in brief written essays. In short films, one of the best ways to succeed is with characters, who are immediately engaging. DREAMWORLD does this well. Even in the limited time they are onscreen, Patrick, Christine, and perhaps most poignantly, the only briefly seen Danielle are fascinating. Their avatars are like many one meets in SL. Their RL selves also seem easy to categorize, but DREAMWORLD allows that experiencing virtual life demands new interpretations of reality in both worlds. At one point near the end of the film Patrick sits on a motel room bed with Christine and her cuddling friend, another woman whose sudden appearance in the narrative is never explained. The filmmaker talks in Dutch with Patrick while the two women, who must not be able to understand a word, snigger at the camera. Much is insinuated in this scene, but it is hard to know what. It is an intriguing moment — the filmmaker is unexpectedly interjected into the action, the subjects become mysterious to the audience and baffling to themselves, and the watchers are left curiously wondering what reality has just been experienced by everyone concerned. While not ground breaking in on their own, these two films point the way to what promises to become the increasingly complex problem of what the documentary considers real. Aside from the admittedly key “which side are you on” question, there is no great difference between this scene and the intent of documentary arguments made today. Over 100 years later, there is still much documentary to-do about prisoners in Cuba or martyrdom in public political executions.